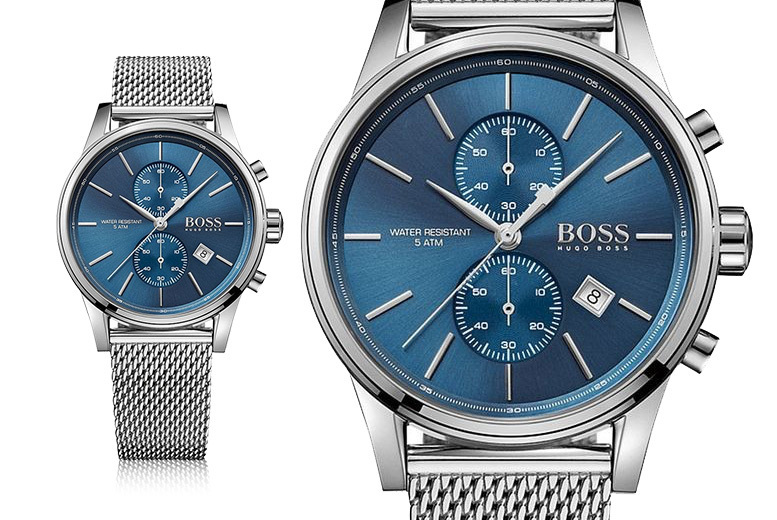 Get a mens Hugo Boss watch. With a classic and sophisticated blue dial. Comes in a stainless steel case. Perfect for an elegant man.